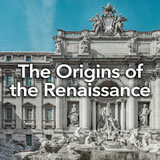 Students learn about the important figures and events of the English Reformation and its unique character. Then they explore the events and outcomes of the Catholic Counter-Reformation. Next, they create a timeline of significant events from the Reformation and Counter-Reformation eras and choose one event to defend as the most significant. Finally, they write a letter to a figure of the era, listing several questions they would like to have answered. 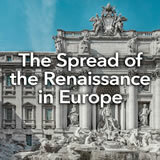 In this experience, students learn about the important figures and events of the English Reformation and its unique character. Then they explore the events and outcomes of the Catholic Counter-Reformation. Next, they create a timeline of significant events from the Reformation and Counter-Reformation eras and choose one event to defend as the most significant. Finally, they write a letter to a figure of the era, listing several questions they would like to have answered. Describe the English Reformation and important figures of that era. 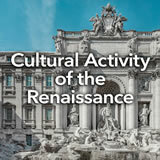 Describe the Counter-Reformation and its influence. Most important new ideas often face resistance or adaption from some quarters. In this experience, you will learn about the resistance and adaption that came as a result of the early years of the Protestant Reformation. The prefix counter- means “against; in opposition to.” If you counteract something, you act against it. For example: Because so many people are selfish these days, we’ve started a club that focuses on cooperation in order to counteract so much self-focus. 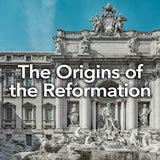 The Protestant Reformation was a rebirth and reform of aspects of the Catholic Church. Not long after the Protestant Reformation began, the Catholic Church began its own Counter-Reformation. 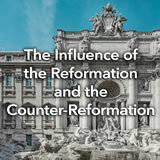 Based on what you know about the prefix counter-, what do you think the Counter-Reformation was? Discuss students’ responses briefly and frame the rest of the experience as a chance to find out more about the Counter-Reformation.